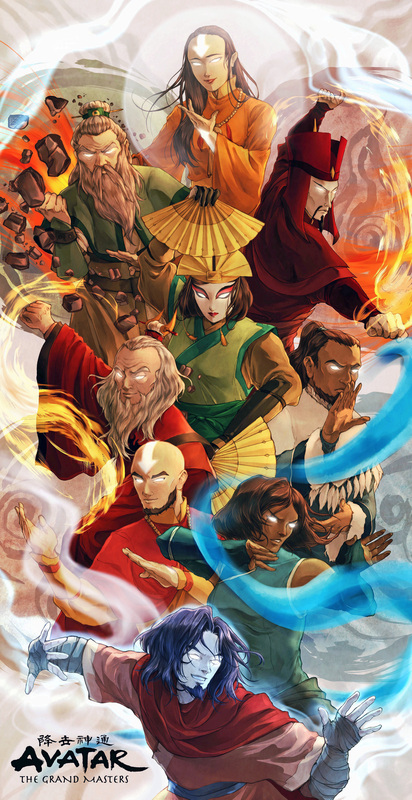 Ali on ima celu prvu knjigu i drugu do 9e na mobu..de ces jaci razlog od toga da je serija dobra..
Avatar je zaista bolji po svemu od Korra-e, ako se izuzmu crtež/animacija. Prva sezona LoK je propustila mnoge šanse da dublje istraži svoj sjajan seting, a traćeno je vreme na očajnu romansu i glupavi bending sport. I too agree that TLA is way better than LoK..
Kako ti se dopala Toph? :grin: Meni pored Iroha i Aanga/Sokke omiljeni lik. Edited by CaJIn, 09 November 2013 - 09:52 AM. Toph je kul, mada je dosta jednostavna kao lik. Cini mi se da su je postavili vise kao lika koji sluzi da pomaze glavnim junacima, i zato nema dovoljno screentimea. Ali jesam je zgotivio, podosta. Edited by TerriccotaPie, 09 November 2013 - 01:26 PM. Btw, evo ga dijalog iz moje omiljene scene iz druge sezone. A i to mi je jedna od omiljenih konverzacija u seriji. Iroh: Here is your tea. You seem a little too young to be traveling alone. Toph: You seem a little too old. Iroh: (laughs) Perhaps I am. Toph: I know what you're thinking. I look like I can't handle being by myself. Iroh: I wasn't thinking that. Toph: You wouldn't even let me pour my own cup of tea. Iroh: I poured your tea because I wanted to and for no other reason. Toph: People see me and think I'm weak. They want to take care of me. But I can take care of myself by myself. Iroh: You sound like my nephew. Always thinking you need to do things on your own without anyone's support. There is nothing wrong with letting people who love you help you. Not that I love you; I just met you. Toph: (laughs) So, where is your nephew? Iroh: I've been tracking him, actually. Iroh: Yes, a little bit. His life has recently changed and he's going through very difficult times. He is trying to figure out who he is and he went away. Toph: So... now you're following him. Iroh: I know he doesn't want me around right now, but, if he needs me, I'll be there. Toph: Your nephew is very lucky, even if he doesn't know it. (standing up) Thank you. 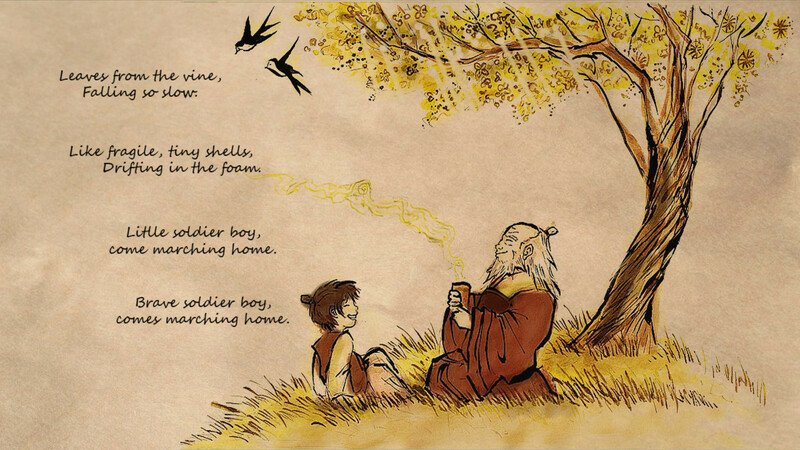 Iroh: My pleasure. Sharing tea with a fascinating stranger is one of life's true delights. Toph: No, thank you for what you said. It helped me. Toph: Oh, and about your nephew? Maybe you should tell him that you need him too. Zaista niko od vas nije nasao za shodno da mi kaze da su TLA i LoK sinhronizovani? Ja saznao tek posle odgledane prve sezone sa originalnim voice overom. Sad sam se navikao na originalne glasove, pa mi glupo da nastavim sa SRB sinhro. Konacno zavrsio ovu crtanu seriju. Definitivno najbolji crtani koji sam ikada odgledao. Sad nedelju dana pauze pa krecem The Legend of Kora. To neka nova trilogija stripova?